So turns out I have a kidney infection with uti, already had a ‘sa’ infection in arm.. and we have discovered the reason my jaw wont open more than just over a cm. 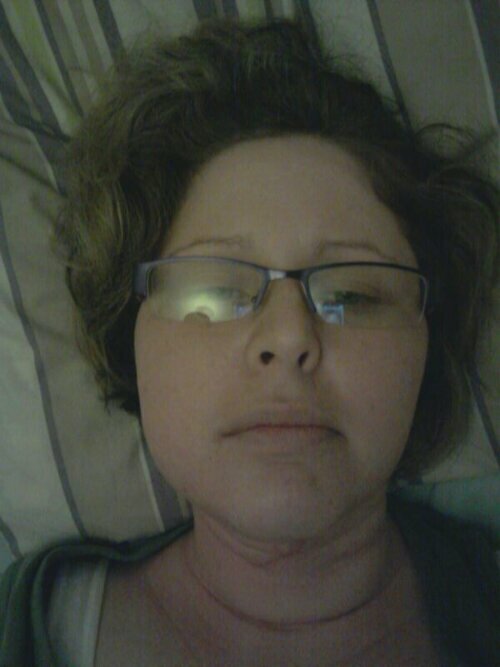 I have a mouth infection too…. Tbh its come down a fair bit since thid aftrrnoon. The padre came round to see how i was and i just burst into tears…. now my padre is a friggin giant on a man but a gentle giant.. hes very good at finding positives hes coming again wednesday to see how i am. 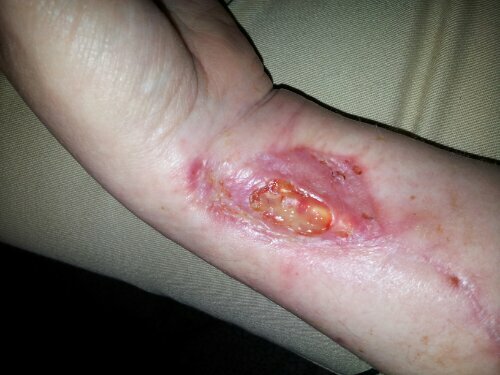 Im hoping we are on top of infections by then..
im going to put a pic of arm up a warning tho u can see my tendon.. this is about a week ago its much bigger and more open now. So this is why i feel so crap. Mixed with my other infections..